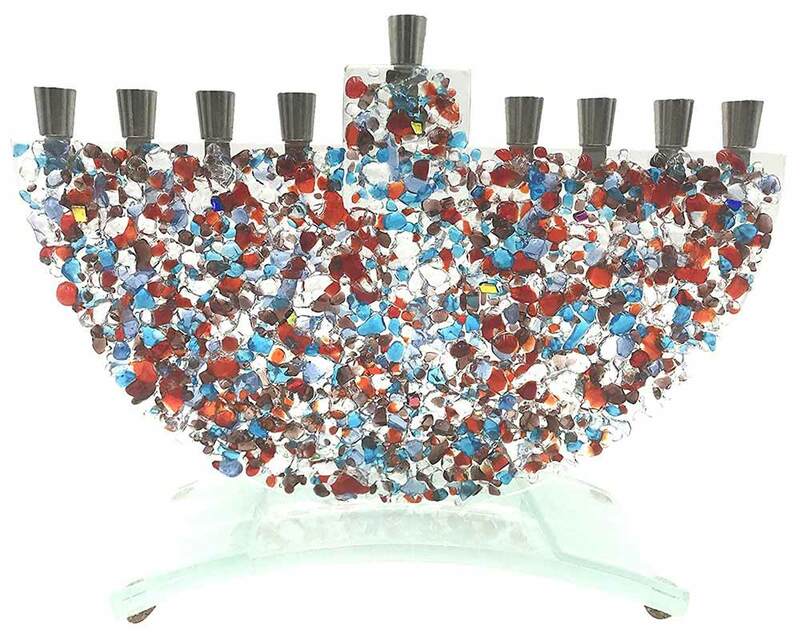 Crushed Glass Jewel Tone Menorah by Tamara Baskin. Handmade Art Glass with Jewel Tone Glass design mounted onto a Frosted base. Great gift for Hanukkah, Wedding, Bar or Bat Mitzvah, Anniversary or Birthday. A great gift for any occasion or enjoy in your own home!